Stratos II+ took off at 16:33 CEST on the 16th of October and reached 21457 meters altitude setting a new European altitude record for amateur rocketry. We had a picture perfect flight from the El Arenosillo launch site yesterday. 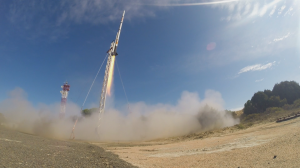 While we didn’t make the 50 km altitude, we did break the record and so far it seems that virtually all systems of the rocket worked very well. We did have some extremely tense moments in the last minutes of the countdown when the fuel line umbilical failed to detach properly. 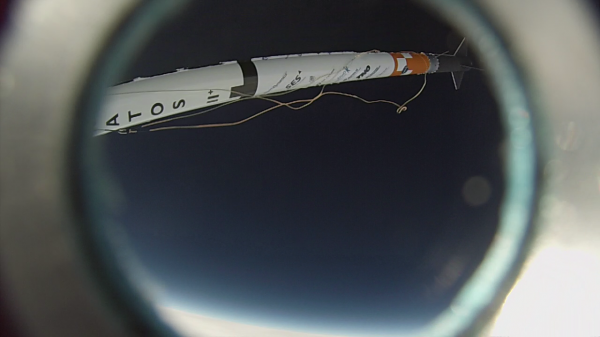 Our team succeeded to remotely disconnect the umbilical only to be slapped in the face with a failure of the Flight Termination System (FTS) directly after. This however turned out to be a trivial problem allowing us to finally push the button at 16:33 CEST. 13000 horse power equivalent roared to life as planned in the engine and the rest is history. Perhaps the best news next to that we actually flew is that the capsule was recovered in pristine condition. 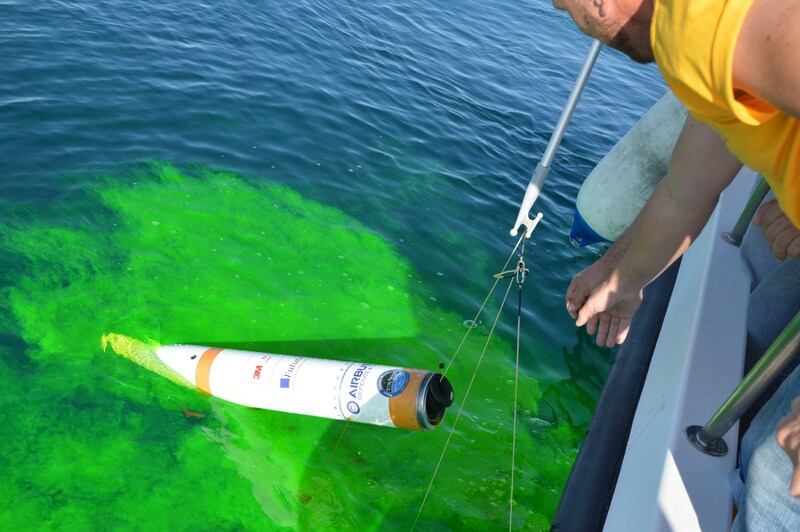 This is also good news for the Radboud Radio Lab as it means that their payload is also recovered. For us this means that we are sitting on a treasure trove of data and onboard footage. It is also very satisfying to see that both the drogue and main parachute worked. We took the idea from NASA to use fluorescent to make the capsule more visible in the water. Parachutes and recovery in general are things which commonly fail in amateur rocketry and we have had our problems in the past as well. Capsule being recovered. Fluorescent is used to ease spotting of the capsule. The only ‘bad’ news is that we lost the engine module. While we intended to recover it as well, we knew that recovery of such a large object would be difficult. Directly or shortly after deploying the drogue the line holding the engine module broke, sending it on a ballistic trajectory into the Atlantic ocean. We have collected a large amount of footage of the flight and are currently busy processing it all. A lot of people have already been asking for footage, and we are working on it. The past two weeks have however been a blast for us with an extreme working schedule and not to much sleep. This weekend we are recovering from this intense launch campaign and we hope to be able to show you a good compilation of the flight beginning next week. The coming week we’ll be busy analyzing the flight. INTA will provide us with high quality radar tracking data and we should have a treasure trove of telemetry data available on the flight computers. We would like to know why we didn’t make the 50 km altitude target en we want to further analyze the performance of all the subsystems. The data can also be used to validate the simulation tools developed for Stratos II+. In any case, this successful flight will keep DARE members busy for a long time.